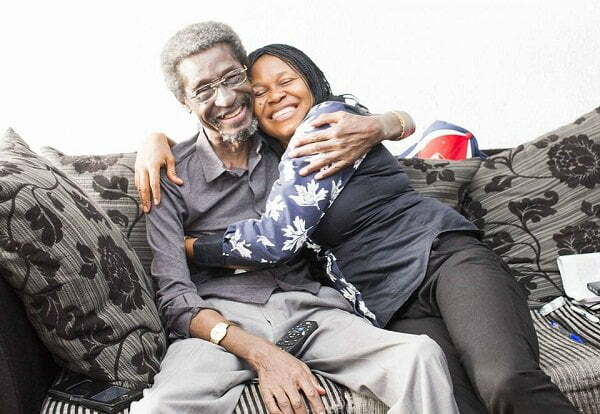 Veteran actor, Sadiq Daba, has returned to Nigeria after weeks of treatment for prostrate cancer and Leukemia at a UK hospital. The actor arrived on Friday December 29th. Sadiq Daba on arrival thanked his wife and Nigerians for their support and financial help. He said ”it’s soooo good to be back home!! Who else will be there? Who has always been there ? Yes , the indefatigable woman of esteem and high standards, sincerity, honesty ,love, care, adoration and an Angel……Dr.Joe Odumakin! !